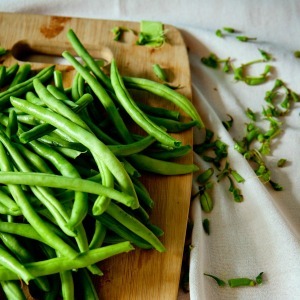 12 easy to grow veggies your family will love! You are definitely going to find some easy to grow veggies than others. What I’ve found easy, you may still find a bit challenging, that’s because our situations (climate, soil, position etc) can vary greatly in this big country of ours. Before you rush out and purchase all of these, remember you need to grow plants based on your climate and the season. Download our Planting Guides and don’t forget to head over to Our Food Garden Facebook group for support and advice. It’s no secret that one of the biggest mistakes new gardeners make is to either position their veggie patch in the wrong spot or over planting. So let’s start with planning your plot. his is one of the most crucial steps in achieving maximum yield. Don’t be discouraged if you were planning, or can only find space in a shady spot. 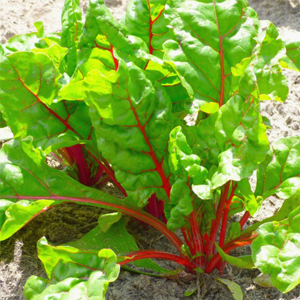 You can still grow produce in the shade, like leafy greens such as silverbeet. If you can, chose a position that provides at least 6 hours of sun a day. 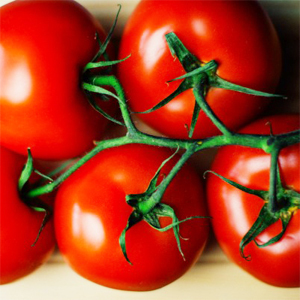 The vegetable’s which flower, like cucumbers, eggplants, tomatoes etc, need the sun (and bees) to generate the fruit. I’ve found that the morning sun is the most beneficial. In summer the afternoon sun can do more damage than good. Keep this in mind when you are planning, so you can make the most of your veggie patch. Plant roots need lots of water and air around the roots so they can grow. This is an important part of planning because if your soil isn’t workable then a raised garden bed may be a better solution. Many gardeners get very excited about the endless possibilities of plants you can be grown in a veggie patch. Miscalculating the volume a plant will produce, usually, ends with you giving away too much of your hard earned produce. At first, it’s best to start with a small scale set up and identify the plants that produce for long periods throughout a season, like tomatoes, eggplants, cucumber and silverbeet, and plant less of these. Then consider the plants that you pick once, like lettuce, beetroot, radish and cauliflower and plant more of these. Also, allow room for staggered planting. You don’t want 12 cauliflowers ready at the same time. Plant 6 and then another 6 a month or so later. There are basically 2 ways to plant out a patch. You can use row planting or intensive planting. Row planting is as the name suggests, planting in rows allowing enough space in between. With row planting, you need to allow access to tend to your vegetables. Try to stick to the paths and not compress the soil around the plants. You can also try stepping stones. Intensive planting is more visually appealing as you are designing the space. This works well in small gardens or courtyards, just make sure you allow some room for staggered planting. Your plants will need room for the roots to grow so your soil condition is very important in order for the plants to access food & water. If you have waterlogged or clay soil you will need to add a specific product before planting. Check with your local nursery before proceeding. Organic matter will help to improve soil quality and is rich in nitrogen, phosphorus, potassium, and micronutrients for the veggies to grow. For a new patch, a good quality organic soil from your local nursery will be perfect. If you are refurbishing an existing garden bed you can add a mix of fresh compost, cow manure, chicken manure & mushroom compost to improve the soil quality. Check out our blog on composting 101. Once your seedlings are starting to grow, you can use a liquid fertiliser to spur on the growth, flowers and produce. This will ensure your crop reaches its full potential. I would give them a drink every couple of weeks. Most vegetables are going to need plenty of water. Unfortunately, they are not drought tolerant so when the Australian weather reaches extremes, you will need to water regularly. Having a water supply located close by will make this easier for you. This is one of the easy to grow veggies because it doesn’t need a lot of sunlight and can bounce back if it misses water. The worst thing you can do to this plant is not pick it fast enough. It responds really well to liquid food and by picking it continually you actually stay ahead of the caterpillars. Related: Spinach. A simple recipe that makes it taste amazing! As long as cherry tomatoes get enough sun, and you don’t kill them before they get to the harvest stage, you will benefit from an abundance of produce. Don’t start messing with them if they get a bit scraggly looking, they will still produce if they are left in a tangy mess. You are almost certain to stop production if you start trimming it back. Cucumber ‘Sun Lovers’ is a great name for cucumbers, so make sure they have plenty of light. The fruit is incredibly resilient to pests, however, they can get burnt if exposed repeatedly to scorching sun. As long as the wide canopy leaves are doing their job, then you will love sharing the produce with family and friends. Tip: don’t plant too many. Related: Harvest Leftovers. 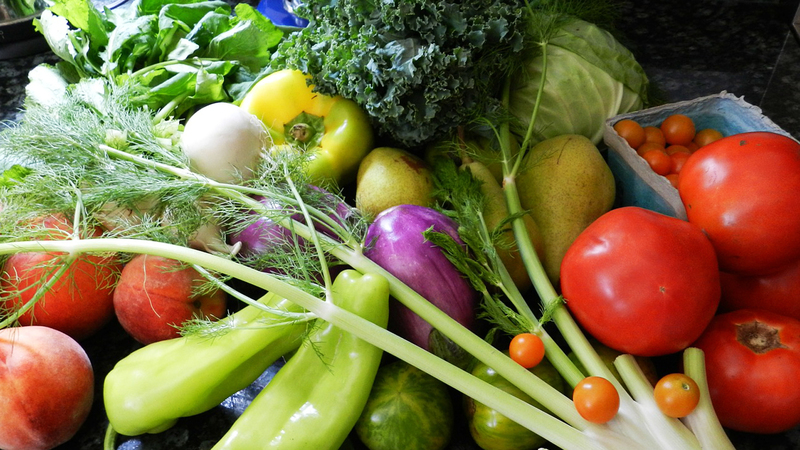 Make the most of your amazing produce! 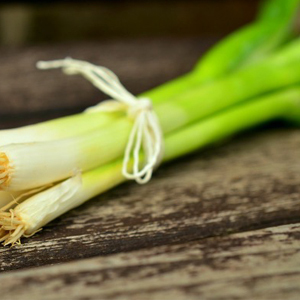 You can harvest spring onions by simply cutting them off down low, they will keep growing back if the roots are left in the ground. You can actually even grow the ones you purchase from the grocery store. As long as the roots find soil, they will keep growing. With a smorgasbord of choices, lettuce is relatively fast and easy to grow veggies. 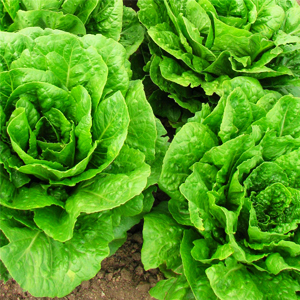 Flourishing in spring and autumn, lettuce responds really well to lots of water. Lettuce is a great addition to a courtyard set up or small container pots, especially the miniature variety. You need to harvest as soon as they look perfect, especially in the hot weather because they won’t be perfect for long. From the common dwarf bean to the purple climbing bean, they are not only delicious but a very hardy and fruitful plant. Most beans are climbers (except dwarf & bush), so you need to make sure you can support them up to 2 meters high. Why not try a bean teepee or an A-frame walkway for your beans to become part of your garden design. 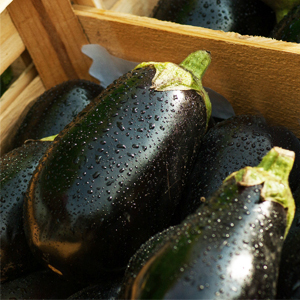 Eggplants and tomatoes are related like cousins, although eggplants like their growing conditions a little warmer. You will need to support eggplants with stakes as the fruit gets quite heavy, and they don’t like to dry out. Keep them well fed and watered, and let the bees do their thing and you will have a bumper crop. Really simple, easy to grow veggies and can be grown all year round, plus they taste so amazing you will never again purchase them in a tin. Beetroot like a bit of shade and grow quite well in containers. 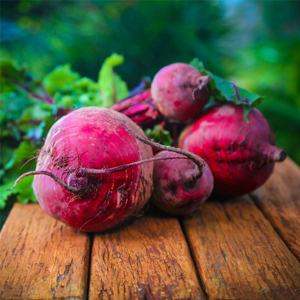 The faster a beetroot grows the better it tastes, so definitely use organic pellets & liquid fertiliser. You can also eat the leaves in a salad. Related: 3 Simple Beetroot Recipes. An amazing flavour you with love! 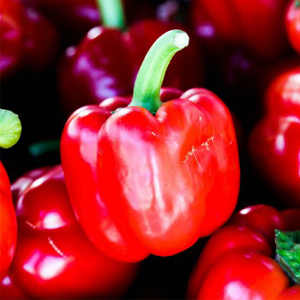 You can grow capsicums all year round, but they are fussy about position. They like a nice sunny spot, however, they don’t like the frost and can die back over the cooler months. Don’t take them out, they will come back even stronger when spring hits. Capsicums grow great in containers and like a deep soil for their roots. Don’t pull them off, just cut them off as it can stress out the plant. 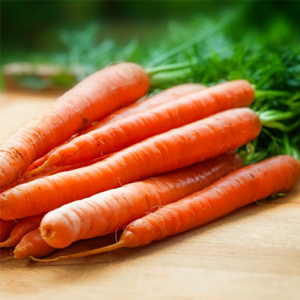 Another easy to grow veggies are carrots. The most important thing to remember when growing carrots is that carrots need loose deep soil or their growth & shape with be affected. Carrots taste better if they are grown faster so feed them well but avoid food high in nitrogen or you’ll get bushy tops with not much carrot. Easy to grow veggies, the zucchini plant is a great one to start with. 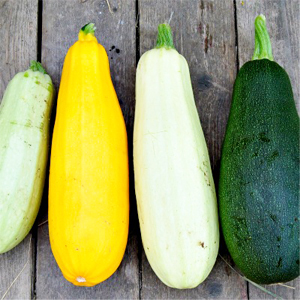 Available in a range of shapes and sizes, zucchini’s need to be harvested when the fruit is quite small or it becomes inedible. You can also eat the flowers in a salad. Bees are very important here, so companion planting will offer a great solution. and then kept in a dark place. 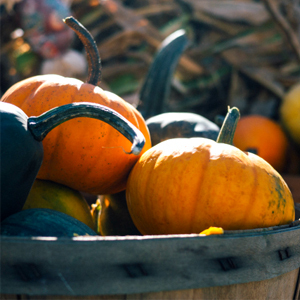 Related: 3 outstanding pumpkin recipes that will inspire you to cook!